I swung by some authorized Big Green Egg retailers and jotted down the prices. Here you go! Retailers have plenty of latitude when it comes to setting prices so an Egg might cost something different in your area. The price listed above are for the Egg only. To have a truly functional setup you will need to get the stand to put it in (the “Nest”) as well as some side tables, an ash tool and the “plate setter” for indirect cooking. Here is the look at the FULL COST of the two most important sizes of these cookers, the 18 inch Large and the 24 inch Extra Large. The 18 inch Egg, the most popular model, has 262 square inches of cooking space and weighs in at 162 pounds. The cooking area is big enough for about a dozen burgers. For those of you doing comparison shopping then there are two other grills that you need to look at. If you want a grill that is BETTER than the Egg and costs about the same then look at the Kamado Joe Classic. The Classic is the same size as the Large Egg and comes fully loaded with all of the accessories that you need. The folks at BGE are actually scared of the Kamado Joe products. I was at local hardware store talking the sales guy about their Egg selection. I mentioned that it would be nice if he also had some Kamado Joes in stock so people could see them side by side. He agreed with me but said that as part of the agreement to be a BGE dealer he is not allowed to have any Kamado Joes on the showroom floor. Here is a video “Head to Head” comparison of the two grills. If you want a grill that is CHEAPER than the Egg then you need to look at the Pit Boss Kamado Grill. The Pit Boss Kamados are larger than the Large Egg, come fully loaded with all accessories and a cover and cost a heck of a lot less than the Egg. The Pit Boss is not as high quality a product as the Egg but costs many hundreds of dollars less. The main issues with the Pit Boss is that the hinges get rusty (cosmetic issue) and the lower air vent on the Pit Boss is a little leaky. The leaky air vent is an easy fix using some high heat silicone. You can find the Pit Boss Kamados at Costco, Wal-Mart and Home Depot. The 24 inch Egg has 452 square inches of cooking space and weighs in at 219 pounds. The cooking area is 70% larger than the 18 inch Egg and is big enough for about two dozen burgers. Once again, for those of you doing comparison shopping then you have to look at the Kamado Joe Big Joe. The Big Joe is the same size as the Extra Large Egg and is a much nicer product. 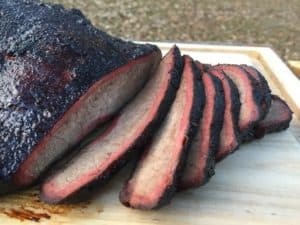 Here is an AWESOME video by Justin, the Baby Back Maniac, that walks you through what makes the Big Joe such an amazing grill. Justin’s videos are informative, well produced and FUNNY! Here is the link to see the Big Joe on Amazon. And again, for you budget shoppers, Costco carries the equivalent 24 inch kamado from Pit Boss which is currently listed at $749 with free shipping.